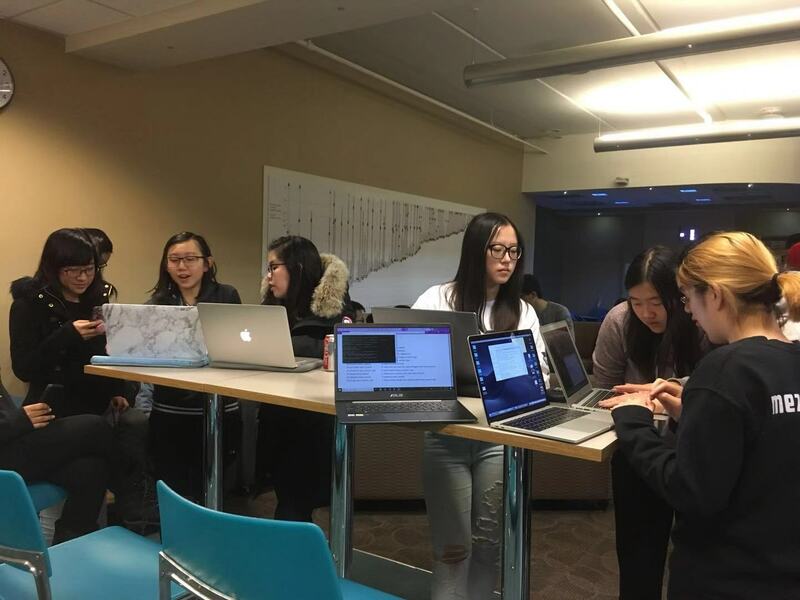 On Friday, November 16, the Computing and Financial Management (CFM) program kicked off its first student-led hackathon for first year CFM students. 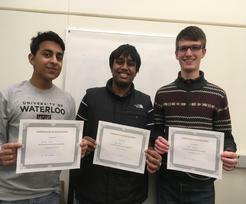 The hackathon was held with the aim of helping first year CFM students develop collaboration and time management skills. Students also learned how to compose optimum financial portfolios and build clean coding styles. A total of 40 students registered for the event, accounting for 95% of all first years in CFM. An information session was led by three upper year CFM students (Alex Chen, Martin Chu, and Torry Chen) to deliver how-to presentations on various topics including calculating financial returns, coding requirements and participation rules. Students were given five days to work in teams of four to complete their projects. There were 12 teams that participated in the hackathon. Teams were given evaluation guidelines to design their projects. Three winning teams were selected based on excellent or outstanding performance in the categories of 1) visual presentation 2) coding style and 3) portfolio return. 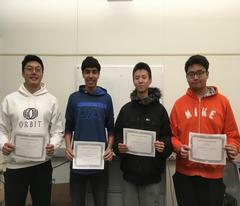 Students from the winning teams collect their prizes: Group 1 (L) members Lucy, Navya, Oliver and Sherman; Group 8 (C) members Andy, Allen, Ayman, and Chenkai; Group 2 (R) members Aaron, Anthony, Evelyn, and Lilian. 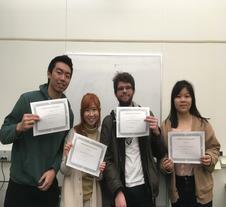 Each of our teams took home some great CFM certificates, prizes, bragging rights and a host of new skills for their resume and future hackathons. The CFM program was glad to see that all participants were able to deliver a professional performance in a group working environment. The CFM program hopes to continue offering the hackathon to other first year students and similar events in the future. We thank our upper year students for hosting this event and all of our teams for participating.